5" in length (gold); 4.5" in length (silver). 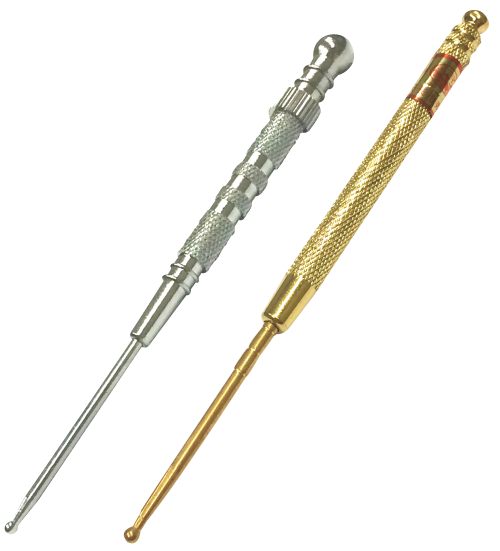 Ball-shaped probe tip is 2.5 mm in diameter. Made of metal (gold); stainless steel (silver).